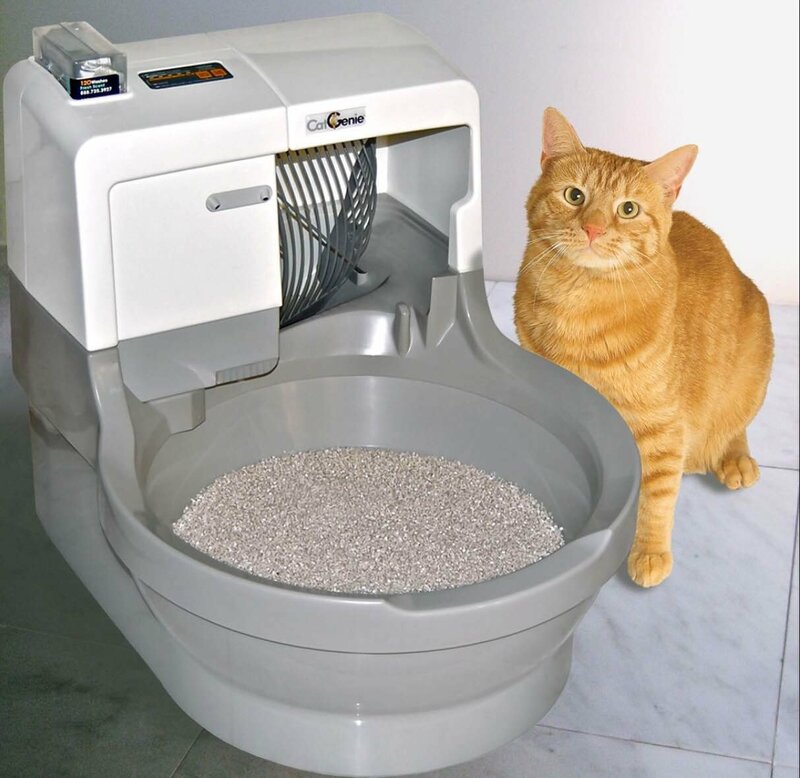 Are you one of the thousands of cat owners that are tired of scooping the litter box? Then join the elite group of cat owners who use the best automatic litter boxes for cats! Not only will the automatic litter boxes keep the litter cleaner for longer, it is also very handy for the busy body, someone who owns multiple cats, or when you are going out of town. Check out the top 5 automatic litter boxes for your cat below! Choosing the right litter box for your cat is imperative if not vital for one reason: if your cat doesn’t like it, they will not use it! Before you choose the perfect litter box for your feline friend, here is a short list of factors you will need to consider. Size: Cat boxes are made from a wide variety of space-saving shapes in order to minimize the presence of the cat box. But, in all reality, the bigger the litter box is, the better it will be- regardless of how many cats you own. Hoods: A covered litter box will give your cat privacy as well as help to prevent the spread of waster or urine. Not to mention, covered cat boxes will keep the odor to a minimum. Litter: There are several different types of cat litter available with a range of textures and materials. Most importantly, the litter should absorb odor and waste very well, should be safe for both cats and humans, and keep dust and particles to a minimum. Biodegradable and natural kitty litters will give you all of these things. Number: A good rule of thumb to follow is to have 1-2 cat boxes per cat. This will ensure hygiene for both you and your cat(s) as well as prevent any territory issues that could occur. Location: The placement of the cat box is crucial. It will need to be in a quiet and secluded area that is far from any food or water bowls and/or bedding. While an automatic litter box will give you and your cat many benefits, it will only work if your cat will use it. It can be a little difficult to switch to an automatic litter box, but it can be done. Of course, it is easiest to train kittens to use an automatic litter box since they will not be used to a non-automatic and they are more malleable when it comes to introducing new things. Adult cats, on the other hand, will already have strong opinions in regards to their toilet facilities. Even worse, strays or rescues may not know how to use a litter box at all! But do not fret. With time, patience, and positive encouragement, you can train your cat – regardless of their age- to use an automatic litter box with these 8 steps. A. Set up the automatic litter box by following the instructions included. Place it beside the traditional cat box your cat already uses. B. Fill the automatic litter box with the brand of kitty litter you are already using with the traditional cat box. But do not turn the automatic cat box on just yet. Give your cat a few days to adjust to the new addition and check it out. C. If you have kittens or you are transitioning an outdoor adult cat without litter box preferences, place a small amount of soiled kitty litter into the automatic cat box. The scent of the waste will promote the cat to use it, as well as understand what is expected of them. D. It is important to remember not to switch litters during this time. If the new automatic cat box requires a certain brand or type of kitty litter, first transition the traditional cat box by placing a small amount on the top of the old brand or type of litter. Allow your cat to use this for a few days and gradually add more and more until the old litter is completely replaced with the new one. Only then you can offer the new litter box complete with the new litter alongside the traditional cat box with the new litter so your cat can fully explore their new addition without the fear of change. E. Give your cat the options of both cat boxes for at least one week. To promote the use of the new one, sprinkle a small amount of catnip inside the tray of your automatic litter box. F. Be patient! Wait until your cat begins to use the new litter box before you turn it on. The motor noise or the unexpected motions can startle your cat or if you’re lucky, it may intrigue them. G. Once you have switched the litter box on, monitor your cat to ensure they are using it. If they are still using the old one, leave the waste inside while the automatic litter box is clean. This is usually enough incentive for your cat to use the new one since it is fresher and cleaner. H. Give your cat the opportunity for doing good. Time their visits to the cat box and give them an incentive once they have used the automatic cat box. The PetSafe scoop Free self-cleaning litter box will self-clean for weeks without scooping, cleaning, or having to refill it. The included cover trap will lock away solids as well as odor so you never have to see or touch the waste. Complete with a disposable leak-proof tray that has a lid will ensure a quick, easy, and hygienic clean up. The PetSafe Scoop free Ultra Self-Cleaning litter box comes with a cover to give your cat added privacy and security while they go to the bathroom. It will self-clean for up to two weeks and you will not have to clean, scoop, or refill the cat box during this time. In addition, there is an included timer for the waste rake with three different timing options and a health tracker that tracks how many times the litter box is used. There is also a safety sensor that will reset the rake timers automatically if your cat enters the box. The CatGenie Self-Washing and Self-Flushing Cat box will automatically flush and clean once waste is added. This brand will use a litter-like washable granules instead of a clay litter. 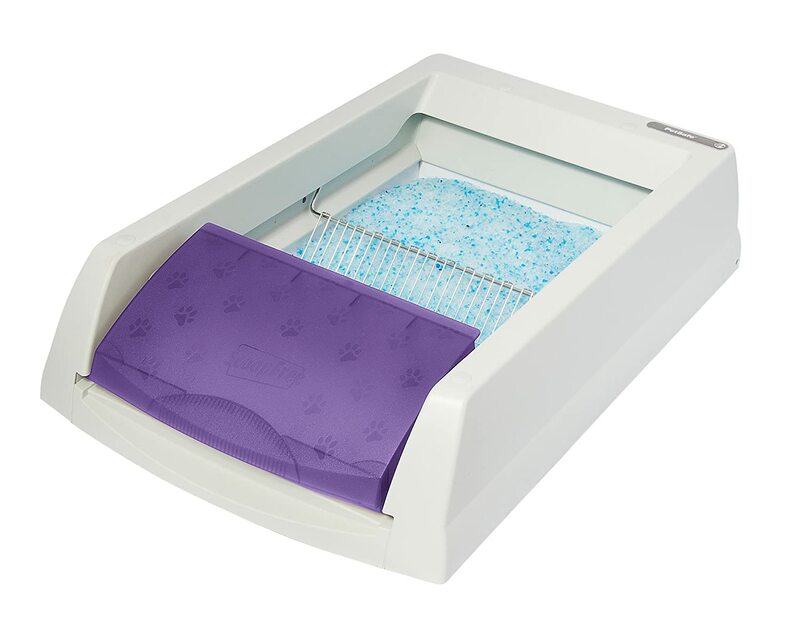 The type of litter used with this automatic litter box is biodegradable which is safe for cats and humans alike. This size is great for 1-2 average sized cats that are over 6 months in age. The Litter-Robot III Open-Air Automatic and Self-Cleaning litter box is fully self-cleaning and automatic and is great for a multiple cat household. There is a large entryway and it is covered for added privacy, security, and hygiene. Odors will be reduced and the automatic litter box itself will take care of any added waste according to the time or settings you set up. Made from a durable construction, this automatic cat box will be sure to last quite a long time. The Litter Robot LRII Automatic and Self-cleaning litter box uses a patented sifting process that will clean the cat litter automatically after each use. The waste will be deposited in a large capacity drawer beneath the litter box that is lined with a garbage bag for easy disposability and hygiene. This automatic litter box is reliable and safe and works without the use of a rake mechanism, so you do not have to worry about clogs, jamming, or breaks. Covered with a hood complete with a large opening, your cat will feel safe and secure when nature calls. If you are one of the many cat owners that is considering switching to an automatic litter box, please ensure you make the right choice for your cats and give them plenty of time to get used to the new addition. As far as the best automatic litter boxes, all of the above are great options, yet our favorite would have to be the Litter-Robot III Open-Air - Automatic Self-Cleaning Litter Box. While it is one of the more expensive options, it is well worth the price. You will no longer have to worry about odors, spread of accidental waste, and you will save 50% more cat litter. The large entry way is great for large cats and the automatic sensor will ensure the litter box is cleaned after each and every use. 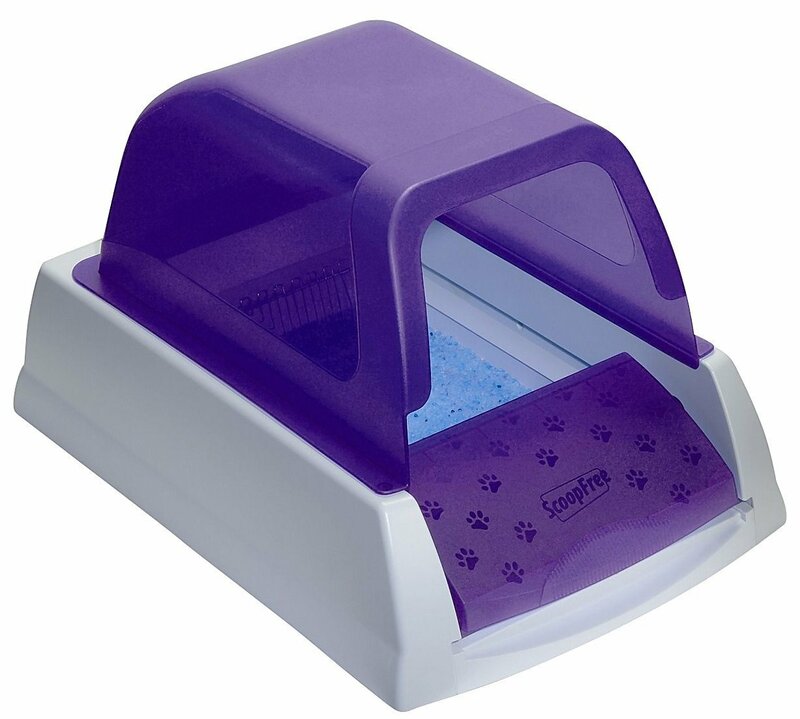 Not to mention, this automatic litter box is great for a multiple cat home. Whether you decide to go with the top of the line recommendation we have for you, or one of the other brands or models, you can be sure to find your cat a great automatic litter box among the top 5 best automatic litter boxes. Just be sure to allow your cat to adjust to their fancy new device and soon you will no longer have the worry or the hassle of the daily task of cleaning the litter box for your cat!If you are one of the many cat owners that is considering switching to an automatic litter box, please ensure you make the right choice for your cats and give them plenty of time to get used to the new addition. As far as the best automatic litter boxes, all of the above are great options, yet our favorite would have to be the Litter-Robot III Open-Air - Automatic Self-﻿﻿﻿﻿Cleaning Litter Box﻿﻿﻿﻿. While it is one of the more expensive options, it is well worth the price. Whether you decide to go with the top of the line recommendation we have for you, or one of the other brands or models, you can be sure to find your cat a great automatic litter box among the top 5 best automatic litter boxes for multiple cats. Just be sure to allow your cat to adjust to their fancy new device and soon you will no longer have the worry or the hassle of the daily task of cleaning the litter box for your cat!